Final Fantasy XIV starred in a tremendous return with the release of its latest expansion, Stormblood. Since then its managers have made it clear that the game will continue to receive constant support from them. They did it, first, with their update 4.11, which added the ruthless trial The Unending Coil of Bahamut. They did it again with 4.2, Rise of a new Sun, which brought us part of the world of Final Fantasy IV, as well as its charismatic villain, Kefka. Today Square Enix has reported on its next update. Under the numerical code of 4.25, its new content will take the inhabitants of Eorzea to a forbidden island. We can enjoy it on March 13. This so bombastic title is the name that takes the zone that will touch to explore in the new update. We will go, of course, from the hands of Hilibrand, thus knowing the last chapter of the story of the individual, but charismatic, character. The island that will star in version 4.25 is surrounded by mystery. According to his description, it is a place that does not appear on maps, and that should not exist in the place that does it. Combat team: Up to 144 players can group a single instance. They advise to practice the style of game in equipment, since the enemies to which they will face will not be exactly weak. Progression of players: Players will gain elementary experience to improve their ability to use the elements. They can also use the new Magic Board system to personalize their basic affinities. Altered combat system: In Eureka things do not work as in the rest of the title. It will be necessary to learn to use Magic Board to control the elements and counteract the ones used by our enemies. Prizes: The monsters of Eureka will drop certain crystals that will serve to reinforce the new weapons thanks to the famous blacksmith Gerolt. As every year, on March 14, the Little Ladies’ Day seasonal event will begin. The well-known singers of Eorzea will return to Ul’dah once again. It is said that The Songbirds will present a performance at a new level this year. Something worth attending. To participate in the event it will be necessary to have at least one class at level 15 and go to the arid lands of Ul’dah. Once in these it will be necessary to look for Mythril Eye Reporter (in point X: 9.2 and Y: 9.1) to begin the participation. Among the prizes are three new emotes, with which to make our character perform different actions; an interior decoration element and an Orchestrion Roll with which we can listen to the song Siren Song. 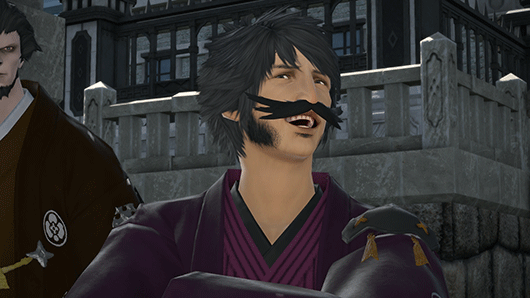 We remind you that the Final Fantasy XIV patch 4.25 will arrive on the game on March 13, while the Little Ladies’ Day event will begin one day later, on March 14. A big update for Final Fantasy players! This is quite exciting! The new content will be available within a few days, so just seize the limited time and gather enough money and necessary gears and players ahead. If you need gils in game, you can buy cheap FFXIV Gil on FFXIV4GIL.